Oh 2017, how do we remember thee? The #MeToo movement took hold of our hearts, minds and justifiable anger when multiple sexual assault allegations against Hollywood mogul Harvey Weinstein surfaced in October. Those reports set off a still-rippling tsunami of similar accusations against men in positions of power. We found ourselves in another kind of awe when the first total solar eclipse in nearly a century was seen around the world on Aug. 21. Also in August, white nationalists — including former president of WSU's College Republicans, James Allsup — rallied in Charlottesville, Virginia, where a counterprotestor was killed. Oh yeah, and President Donald J. Trump was sworn into office on Jan. 20. In August, we printed an in-depth report on the increasingly competitive climate of Spokane's rental housing market. At the time, Spokane County's rental vacancy rate sat at 1.4 percent or lower for two years. Despite high demand for housing spurring the construction of many new apartment complexes, we talked with several Spokane residents who, for various reasons, had been pushed out of their rental properties and were essentially left homeless in large part due to the market's hot competition. Across several issues each year we pay homage to one of the best features of life in the Inland Northwest: recreation! 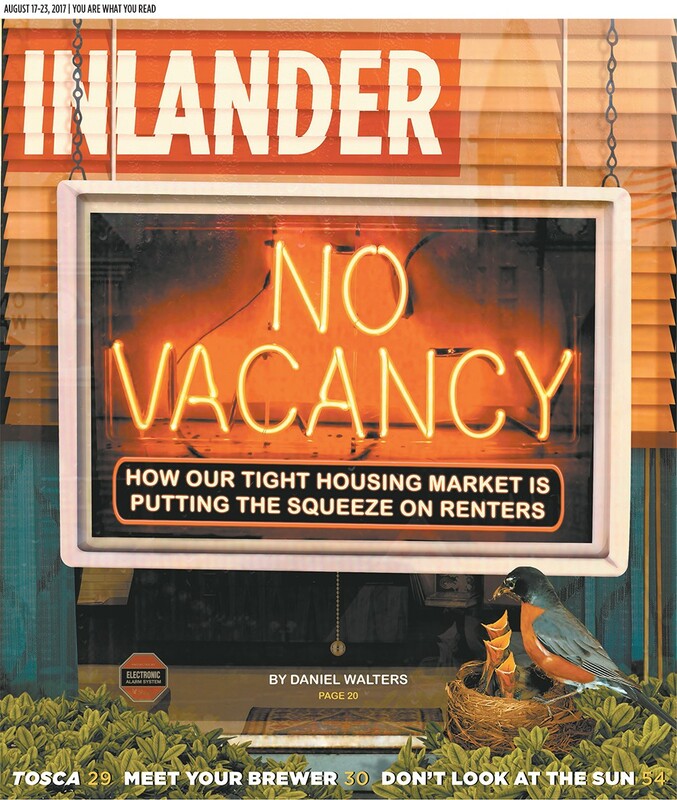 The Inlander's annual Outdoors Issue explored, among many topics, our sometimes rocky relationships with urban wildlife — marmots, turkeys and ospreys, oh my! Outdoor enjoyment doesn't end there, and other issues continued annual coverage of two regional rites of passage, Bloomsday and Hoopfest. Our editorial team won't soon forget the snarky backlash over the cover design of our annual Fall Arts issue, which featured a long-serifed "F" in "fall" that some viewers also saw as the first letter of "arts," thus interpreting the words as "Fall Farts" (#srsly?). Later that fall, Inlander coverage got pretty spooky in a cover story exploring why some folks want to believe in ghosts. We also profiled a local artist whose media of choice might cause some to shudder: taxidermied spiders. In February, we celebrated the Grammy Award win for cellist Zuill Bailey, who serves as the artistic director of Spokane's Northwest Bach Festival. We also published a celebratory feature on Spokane-native author Sherman Alexie's new memoir. Later that year, however, Alexie's reputation was tarnished by allegations of sexual assault, prompting a revocation of some of his literary accolades. 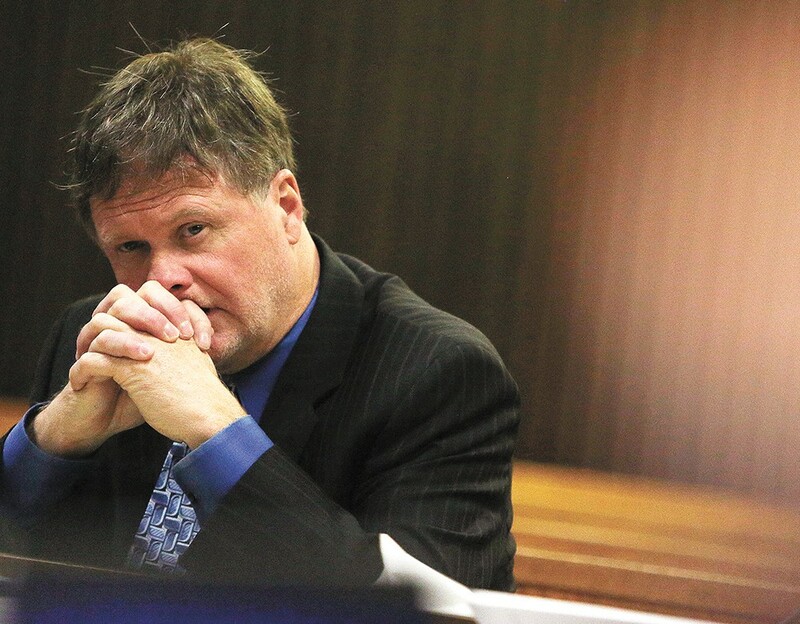 Two juggernauts of the local justice system were also subjects of Inlander cover stories: Spokane County Prosecutor Larry Haskell and controversial Spokane attorney and cop defender Rob Coseey. The original print version of this article was headlined "THE YEAR THAT WAS... 2017"